Have you ever thought of doing yoga but the idea of floundering about with the poses in front of a group people puts you off? Well you’re not alone mate! I’ve been there, many times over. The thing is, the more times you go, you soon realize that the only person in the room judging you is YOU! Anyway, I digress… I wanted to let you know that after months and months of not going to yoga, I finally forced myself to go on a particularly rainy night in Brisbane. I drove through ridiculous traffic with a foggy rear view mirror (haven’t worked out how to use my demister yet), having near misses with buses, to finally arrive at the studio feeling pretty edgy, to say the least. However as soon as the class started and we sang Gershwin’s Summertime as a group while doing gentle stretches, I felt the irritation melt away and I was engulfed by a sense of calm. Singing? I hear you ask. Yes, you heard right. I went to a singing yoga class. And it was AHHH-MAZING!!!!! My voice felt incredible after I left and I came out feeling like Maria in the iconic mountain top scene in the Sound of Music. 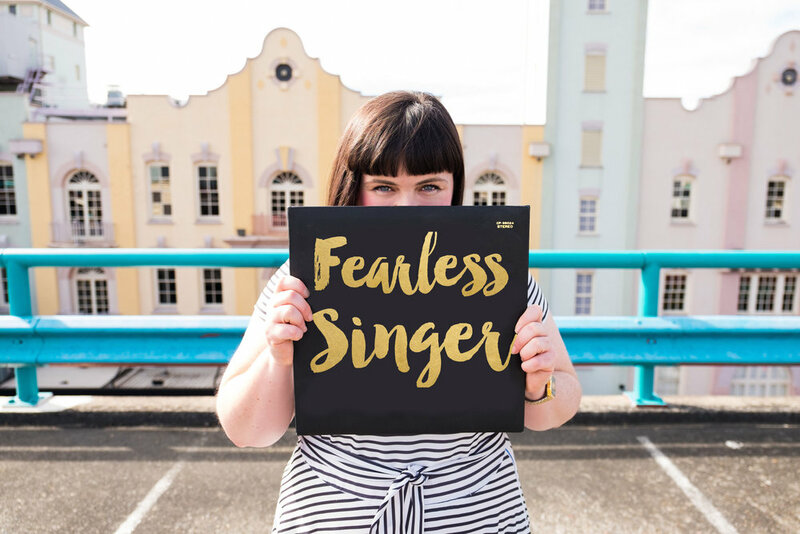 Anyhow, to give you a better idea of the class, I had a chat with singer and yoga teacher Sarah Collyer in today’s Fearless TV episode. She is the master mind behind this genius concept. Once you’ve had a chance to watch it, I would love to hear from you! Is this something you’d consider incorporating into your daily routine? How could you incorporate stretches into your daily singing practice? Please leave your comments in the blog post! If you are keen to catch a class, it’s on Monday nights 6:30-7:30pm, 3/233 Albert Street in the city.